This 5 hour Arlington Tour includes stops at the Marine War Memorial, Air Force Memorial, Arlington Mansion/House, Tomb of the Unknown Soldiers and see the changing of the guard, the Eternal Flame at John Fitzgerald Kennedy grave site, as well as those laid to rest next to him, Jacquelyn & Robert Kennedy, Senator Edward, and Joe Kennedy. Passengers also are allowed to search the site for their loved ones who were buried there. This tour includes complimentary hop-on/hop-off trolley tickets. 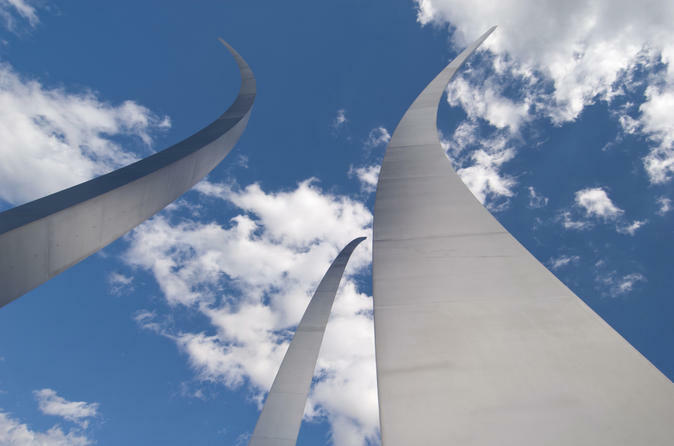 As we head to the Air Force memorial, passengers will see the Pentagon and the site of the September 11 plane crash.Tour ends at Arlington Cemetery. Easy access to Metro station.